An overall Lean warehousing strategy depends on measuring the right Key Performance Indicators. Learn about each warehouse KPI, how it’s measured, and how it helps drive savings in your distribution center. Every warehouse manager knows the inventory in their warehouse is costing them. Quantifying these specific carrying costs — including capital costs, inventory risk, inventory service costs and obsolescence — help a warehouse manager make smarter buying and forecasting decisions, leading to higher inventory turnover. You already know high inventory turnover is good. But looking at inventory rate also helps gauge your buying practices and product demand. Your Warehouse Management System (WMS) provides visibility and enables forecasting to keep goods moving. In addition to tracking shipment and delivery status, you should also measure order picking accuracy. An inaccurate order can result in inventory being put back on shelves, increasing shipping time per average order, rate of return, etc. Lean distribution center practices eliminate waste and streamline order-picking processes – and help maintain a high order accuracy rate. The Inventory to Sales Ratio is affected by economic conditions, and a company’s ability to weather unpredicted disruptions. It helps warehouse managers predict early cash flow problems by identifying increasing inventory levels against dropping sales rates. Conversely, it can help prevent back orders by identifying sales influxes and potential for an increase in buying to help satisfy a spike in demand. Inventory to Sales Ratio in a successful warehouse distribution center will reflect a streamlined order fulfillment process. Warehouse managers should frequently monitor this KPI and use it as a tool in forecasting and predicting inventory needs. The Units per Transaction (UPI) metric is a metric common to many businesses. Depending on your industry, this number may or may not be realistically expected to increase. 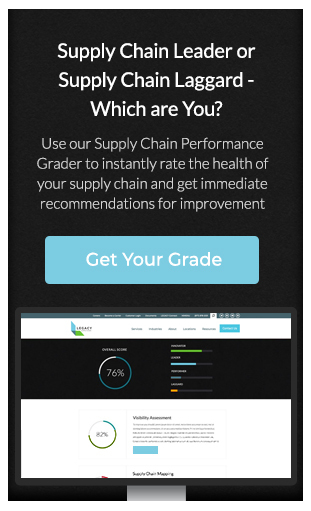 Compare your warehouse distribution center UPI with that of historical averages and trends within your industry for the most useful analysis. In some industries, such as retail and CPG, UPI can be increased by sales trainings and checkout experience improvements that encourage upselling. This is an incredibly useful KPI in a distribution center, especially when segmented by cause for return. Identifying causes for returns — damage, late delivery, inaccurate product description, wrong item shipped, etc — helps warehouse managers address underlying issues, and make necessary improvements. The accuracy of your physical inventory should match that listed in your database, but realistically there’s often a disparity in any large distribution center. A high rate of inaccuracy in inventories can lead to unexpected backorders, customer dissatisfaction and, ultimately, higher overall costs. Visibility is key to a high-performing warehouse. Your Inventory Accuracy can be improved by performing regular checks against your database, using cycle counting as a way to continually validate your database records. A warehouse’s Back Order Rate is a telling indicator of success in forecasting purchases and inventory supplies. A sudden spike in demand will understandably result in a temporarily high back order rate for any given item, but a consistently high or increasing back order rate indicates poor planning and lack of responsiveness. You can decrease your Back Order Rate with more accurate order forecasting and vigilant monitoring of your warehouse’s Inventory to Sales Ratio. A high Inventory Accuracy rate will also improve this KPI. This KPI measures how many orders your warehouse successfully delivers without incident: the correct item, shipped on time and received in good condition by the customer who ordered it. Lean practices help identify errors or inaccuracies before orders leave the warehouse. A Perfect Order Rate can be improved by strict adherence to warehouse and distribution center best practices. By identifying potential problems as they arise and treating them at the source, imperfect orders can be caught before they ship to the customer. Defining and improving these KPIs will put your warehouse on track to increase performance and drive cost savings at every level. Working with an experienced supply chain engineer will help you identify additional performance metrics for your warehouse or distribution center. LEGACY drives savings by focusing on strategic ways to improve, grow and protect your business. Contact us today to discuss introducing these core KPIs into your warehouse.